Smetroid is a short, 3D-shooter where you must destroy 11 aliens which are slowly moving in on your position. The developer took the time to create their own engine – which they then created the game in – within the timeframe for the jam. With your trusty gun, you can blast away the aliens you see, while moving around the room avoiding them. They do take quite a few hits, so being determined enough to kill them all, while avoiding them, will be key to surviving. Fingerolympics is a one-to-nine player party game where everyone takes a number key (or a few keys) on a single keyboard. Pressing the key causes the corresponding finger (or peg?) on screen to leap in the area. Players must then coordinate or compete to shunt physics objects around in 11 sport-ish modes, to do things such as punt balls through hoops, count sheep, and match dominos. It’s fun even if you’re playing it on your own. The Last Eleven is a turn-based strategy game where you must defend your castle from waves of orcs using a squad of fantasy fighters, each with different abilities. Some of those characters can teleport and make quick attacks, some are controlling an enormous crossbow, one of them is just a sentient rock. Just a big rock. There are some bugs but there’s a lot of variety here. You will need to defend your gate for as long as you can – the queen and her people are depending on you. Pause: The Lab sees you solving puzzles in an impressive looking laboratory – one you really have no backstory for or even memory of being in. You have to use the clues around you to figure out how to unlock doors, find your way to new areas, and ultimately escape. You also have the ability to freeze time for 11 seconds, and you only have a total of 11 minutes to actually find a way out. If you can solve all of the puzzles then you can then take an elevator to the surface and find freedom. 11:00, another puzzle-based game, sees you exploring around a strange set of rooms filled with puzzles that all lead back to that magical number, 11. This one clue, 11, will continue thought the game – especially as the puzzle become more challenging. You will need to really remember the theme to figure out what needs to be changed and solved. 11 Down 11 Up is two separate puzzle games within one game. 11 Down is a cube-based game where one side of the cube has an 11 on it. You need to move that cube all the way around to the star, over some arrows that change the direction or move it around, without having the 11 touch the floor. 11 Up is a ball-based game where the tiles on the floor are either blank or contain an 11. As the ball rolls over the tile, it flips – your goal is to have all the 11’s face up. It’s pretty neat that the developer made two games, with quite a few levels, in this one entry. Trying My Best Is Very Hard is one of those narrative driven games where the game itself is talking to you – leading you through their thoughts and their actions. As the game talks to you, it tests what you are willing to do for them. Eventually, the narrator does make you a real game – but it is up to you to decide if it is ‘fun’. A game about worms in space is a local, two-player game where you both play strange space worms, moving around a small screen. Both of you have a set number of segments – circular segments – as well as a yellow eye that you can shoot out of. If this yellow eye hits yourself or the enemy worm, it will knock off some of their segments – making them turn grey and float around the screen. You can eat these rogue segments up, adding more to your own worm, until one of you has nothing left. Zach Billionaire Presents: Howzat! 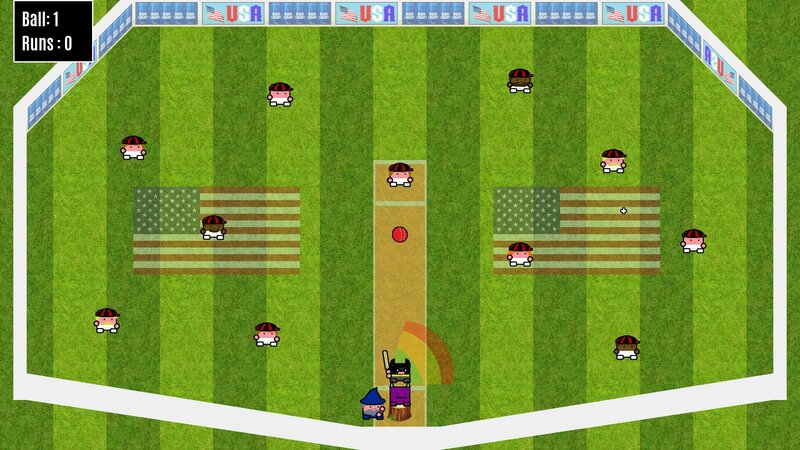 is a cricket-based game where you play BATMAN, trying to hit the ball around a court. Each time the cricket ball hits another player or the wall, you gain points in the form of runs. If the ball flies by your bat or at any point hits the demon on the field, you will gain a lot of negative runs. You can always hit the ball again. I personally don’t know much about cricket, but this is a pretty neat version of it. 11 Minions is a challenging platformer where you can move around boxes to solve puzzles. These boxes are your minions, you will use them to get up to higher places or get over dangerous platforms. The twist is that you can’t directly place where they go. Sometimes, you grab more than one box, and when placing them, they spread out a bit. The way the boxes work make this game really difficult at times. 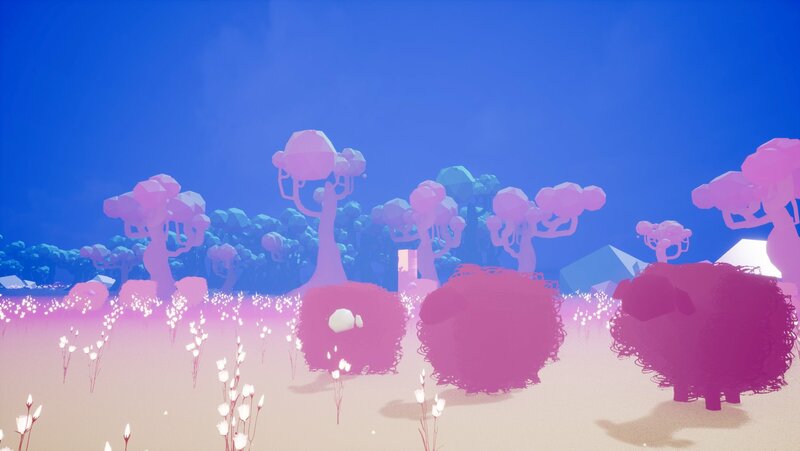 Counting Sheep is a stunning, dream-esque game inspired by the music of Shakey Graves in which you explore around a field, talking to sheep and hoping to go to sleep. These sheep have various thoughts – all of which would keep me up at night. You can interact with them and explore around – maybe even talk to their skeletal keeper who wants to know how you may be sleeping tonight. NIXI – 11/11 is an Egyptian themed Taxi driving game where you need to bring individuals to the place they want to go. Once you pick up the character in your cart, you must bring them to the building they want to go to, as fast as possible. You have a very limited time, and can only pick up one person at a time, so you will need to move fast to get a high score. 11 Stages 11 Lives 11 Minutes, much like the title suggests, is a combination of 11 different games that you need to complete in 11 minutes. You start off in a maze, move to playing Rock, Paper, Scissors, and can even start solving a murder. Each stage is very different from the previous, but your timer continues to tick down and your lives stay the same as they were previously. There are a bunch of ways to lose lives – from finding traps to completing a game incorrectly. Hopefully, you can make it through at least half the stages! 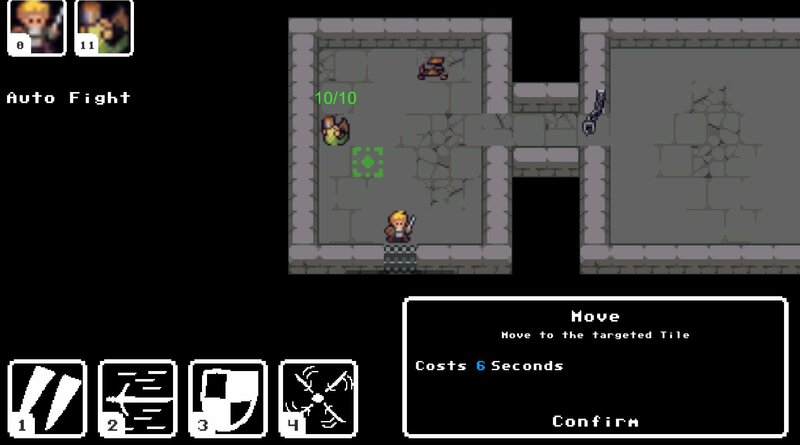 Eleven Minutes to Midnight is a dungeon crawler where you explore around, looking for loot and killing monsters. You have several different attacks; one that brings you close to the enemy and slashes them, one that simply hits nearby enemies, a wave attack that harms anyone around you, and even a defensive move that keeps you safe. As a classic adventurer, you can pick locks, slash open chests, and gain loot! Bad Trains is a little puzzle game where you must draw out the tracks, picking up colored cubes, and bringing them to their destinations. Some cubes don’t need a train ride, while others need to be picked up because they are on the way, and then dropped back out by picking up another person. You need to carefully draw the tracks and make sure no trains hit trees or other trains. l’Innamorato is a card based puzzle game where you need to create a path from the Jack to the Queen using cards in your deck. You can use the numbered cards you have to make other cards turn face down, and more importantly, ensure the sums of the cards are equal to 11. Once they are equal to 11, you can move to the Queen. I’m not quite sure how to solve this game completely, but if you’re into challenging puzzles, have a go at it. 11 minute incursion is a difficult stealth game where you must control your colony while under attack by aliens. You have three colonists around you and need to find the other 8 around the world. As you move around, you will start to hear aliens and see their footsteps – if they come near you, you will quickly die. In groups, you have a better chance of actually destroying them, but you do have only 11 minutes to find your missing team and make it back to the ship. Leveleven sees you attempting to balance 11 shapes onto a beam. These beams sometimes aren’t flat and instead have their own weights on them – so you must use the shapes to offset whatever is already on the beam, as well as the other shapes you put on it. Once you have all the shapes on the beam, you must make sure it’s balanced and straight for at least 3 seconds before you can move on to the next level. Hornet’s Nest is a post-apocalyptic, narrative adventure where you play as the older sibling of a child called Brandon, trying to keep yourself and him alive. The world seems to be ending due to climate change, but you are hanging on with the only family you seem to have left. You need to try to make the best decisions for Brandon while a trust system and a karma system mean all your decisions matter. 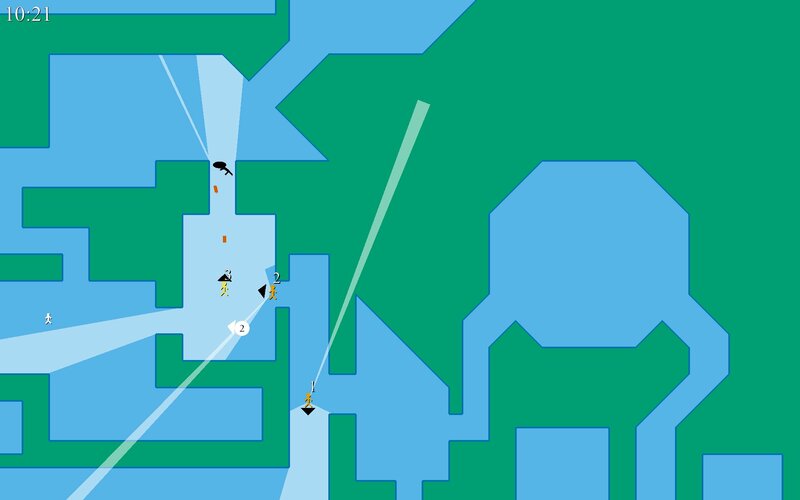 Egg Blasters is another local two-player game where you and your friend need to face off, shooting each other once to destroy them. Both of you play tiny eggs with their guns stuck in one direction – away from the enemy. You must make your way across the arena and position yourself so you can shoot your gun at your enemy. Between rounds, there are also mutators like ‘slow’ that change the way the arena is played. You only have 11 bullets, so you will need to move quickly and shoot carefully. Egg Basters also has a single player mode where you have 11 bullets to kill a horde of enemies off. The Eleven Labours sees you playing the role of a child who is given a task each day to help their parent. These tasks take the form of great adventures – from clearing the pond to saving your pet, you must go up to enemies and face off in an epic bullet hell. Once you have finished the day’s task, you can go back home for the night and be given a new task the next day. If you take on all 11 labours, you will end up with a rather big gift. One Plus One Equals Eleven is a local multiplayer where you and your friend each control a hand with an extended finger. This finger is made of three pieces coming out from a hand. You are meant to move your hand and tap your finger on top of the finger of your enemy, forcing one of their pieces to fall off and their finger to become shorter. Once a finger is completely defeated, the game is over and a winner is crowned. Though this is a pretty simple game, it’s quite fun to play! Eleven(ish) Seconds To Gundown is another local 1v1 multiplayer game. This time, you need to shoot your enemy before you get shot yourself. To make matters harder, you’re only allowed to shoot after a bell has rung. To make matters even harder still, the clock used for these gun showdowns is busted and moves forward at a very uneven pace. 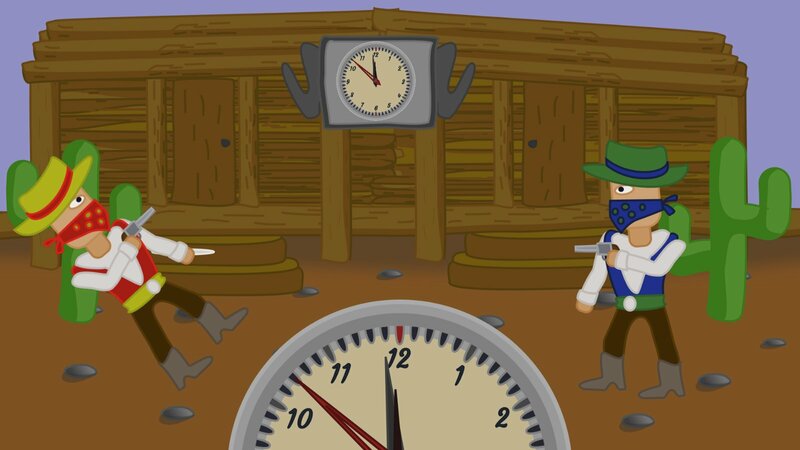 You must watch the clock and wait for it to hit 12 then ding, before shooting your gun quickly. If you are the first to shoot, you will destroy your enemy and earn a point. The first to three points wins the game. Thanks to everyone who submitted to EGXJam this year. Check back later this week for the announcement of the winner.